Starting out on your own entrepreneurial adventure is tempting for anyone looking to go into business for themselves. Who doesn’t want to ditch the 9-to-5 and work in their pajamas? After all, everything is digital, right? Hence the digital in digital marketing agency. Well, that’s the problem. Unless you realize that having a successful digital marketing agency requires you to put on real clothes at some point and build a B2B network — your digital marketing agency is doomed. In order to be successful, you, as the face of your agency, need to get out there and shake hands, smile, and show confidence in your ability to drive local traffic for your future customers. Without this critical face-to-face interaction, you cannot grow and scale your digital marketing agency let alone ever really accomplish anything beyond a handful of one-off web design projects. Are there exceptions? Sure, I imagine there are but the general rule is that the most successful digital marketing agencies and those that are truly growing their business all have at least one thing in common — they network. They leverage relationships to build new relationships, they meet their leads to pitch, then they meet those same leads again to close and as many times as necessary to keep and grow their business. Here are 4 areas of your relationship with your local customers that almost always require face-to-face interaction for success. If you find leads online — whether through inbound methods like SEO and social media or outbound methods like email marketing — then your first interaction occurs online. This is a great way to get leads and in the digital age, not leveraging technology to grow your agency is not very smart. Indeed it’s the very service you are trying to sell to local businesses so it’s important to be really good at it. But so is communicating your competencies face to face which is why your pitch needs to be in person. Marketing is an investment and we always feel better about an investment when we can meet the person or business that is supposed to give us the return. A willingness to network in person. The best places to create initial content that directly impacts your ability to close the sale are trade shows, chambers of commerce meetings, business association meetings, and similar events. But this is not easy, especially for those of you who are more introverted. But it is critical. 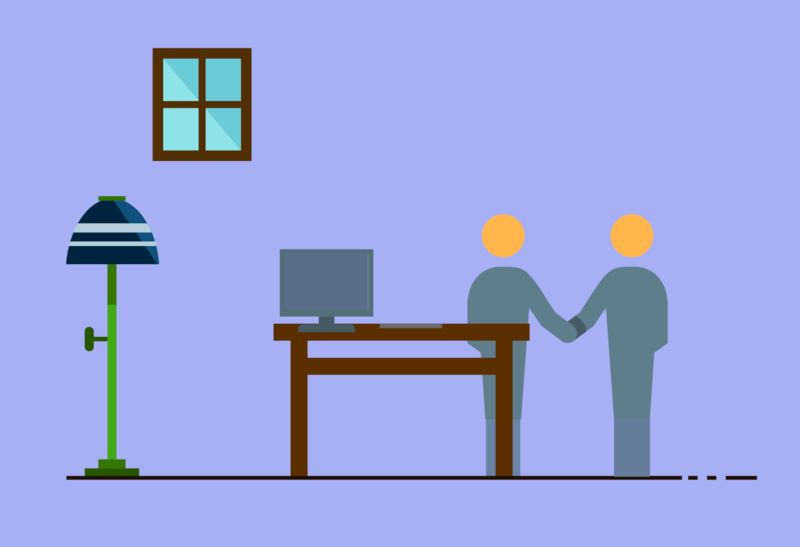 There is so much more you can accomplish via a handshake than you can with an email. Take it from a man who knows his way around an event floor: it’s never too late to start growing your lead pipeline in person. Digital Marketing, and more specifically perhaps, SEO, have a reputation that is sometimes sketchy. Many local businesses have been burned by spammy link builders, wasteful AdWords campaigns, or poorly run social media marketing. Even if they haven’t experienced it firsthand, they’re familiar with the horror stories. You can send as many digital messages as possible but you’re still going to sound like another one of the 10s or 100s of agencies saying the same thing. So how exactly do you set yourself apart? You guessed it — meeting face to face, shaking hands, and looking your lead in the eye. It’s the only sure way to distinguish you and your agency from all the digital noise in their inbox. There is science behind the trust that you can build through communicating with someone face to face. Touching, in a business setting, activates the reward system of your brain. Through an interaction like shaking hands, you are conveying warmth and trust. So whether it’s a pitch, a follow-up meeting, or a proposal handoff, consider doing it in person. Even if you don’t make the sale, you still emerge as trustworthy and reliable — something that they are sure to remember. Things can change and that trustworthiness might be your ticket to a future business relationship whether directly or via a referral. You would think the case for meeting face to face when closing a sale hardly needs to be made. And indeed, this is an area of selling where most of our agency partners understand they need to meet their potential clients in person. But it’s not a no-brainer, and it should be. The rate of converting prospects almost doubles when closing happens face to face. This can be attributed to the trust that is built during the interaction. Furthermore, it stands to reason that the larger the investment on the part of your client, the more necessary it is to meet them in person. But keep in mind, the size of the investment is relative to the size of the business. Meaning, though it seems obvious to schedule an in-person meeting to close a big deal, the deals you are neglecting to meet in person for may be big to your client. Try your best to meet in person to close these deals as well. Helping your clients grow turns those smaller deals into bigger deals. If you’re a new agency, leads and conversions can be in short supply in the early days. Any advantage you can give yourself is well worth your time. New digital marketing agencies don’t always have portfolios and client testimonials to leverage. They can instead leverage sincerity and availability with a willingness to meet in person and answer questions — something your competitors may not be doing. For new agencies, there is a different concern — knowing what you’re talking about. All the gung-ho in the world won’t make up for sounding like you’re trying to close your first deal so do your due diligence not just as it relates to the industry but more importantly, the business of your future client and how you, as a digital marketing agency, can help them grow. Ultimately, that’s what they’re looking for and that’s how you’re going to close the sale. You will, at some point in the relationship with your client, screw up. It’s almost inevitable. But not because you’re incompetent, necessarily. The digital marketing industry is constantly changing, the bar is always being raised and the nature of software development is constantly creating new and better versions. A diligent agency will keep up with the times, but if you slip, it’s understandable. While it is normal to make mistakes, what may not be normal, is how you deal with those mistakes. Do you own up to the mistake? Call and apologize? Do you try to minimize the impact? Or, even worse, do you pretend it didn’t happen? Only 21% of people will actually take the active step of visiting the client. Talk about standing out from the crowd. Visiting a client in-person when you’re wrong, whatever it takes, can a turn a so-so client relationship into something special. It can turn a client from a source a revenue to a brand ambassador. Or, a less grand outcome but still worth the effort is that you get to keep that client. Even if you are unable to fix the mistake, going out of your way, when possible, and meeting face to face is the best step to make amends. Here’s a telling fact: Agency partners that begin their digital marketing agency with an existing and often impressive B2B network are the partners which value B2B networking the most. It would be easy to assume that these partners don’t need to network. The truth is that these are the partners who have learned that face-to-face interaction is the best way to find quality leads and nurture them into customers. Take a page from their book. But you don’t have to look far to see that networking and meeting future and current clients face to face is an important factor in the success of a digital marketing agency. Itamar Gero is the founder and CEO of SEOReseller.com, a white label SEO digital marketing solutions provider that empowers agencies—and their local business clientele—all over the world. When he isn’t working, he’s traveling the world, meditating, or dreaming (in code).